The look of denim with all the comfort of your favourite leggings. 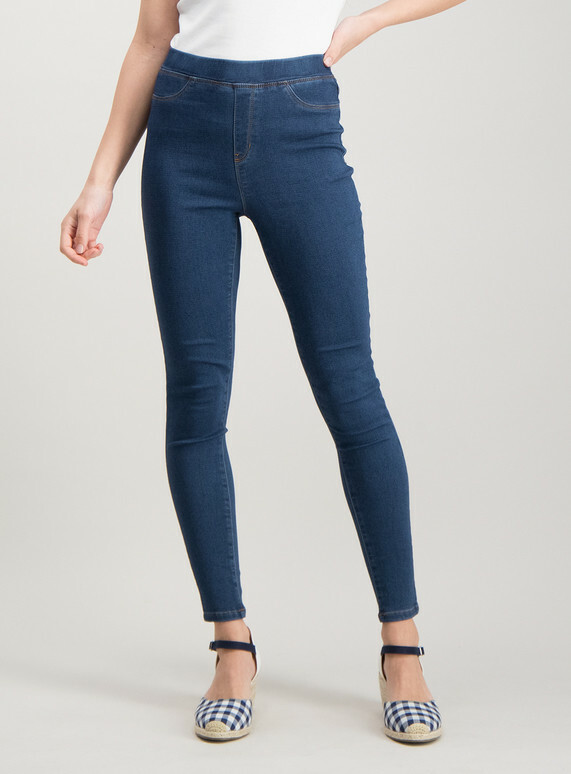 With an elasticated waist and super-stretch comfort, you can look stylish and be practical with our dark denim knitted jeggings. Team with a slouchy jumper and boots for a cosy winter outfit.